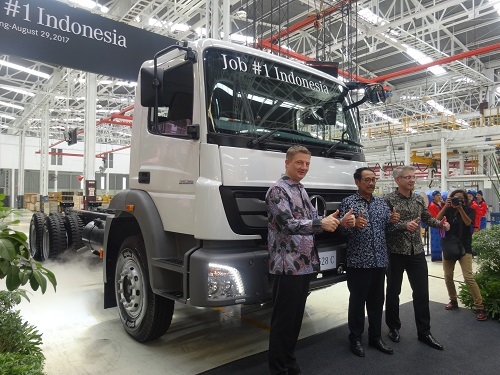 Daimler Trucks Asia (DTA) uses multi-brand approach with FUSO and Mercedes-Benz to extend product offerings and further expand sales in Indonesia. Daimler Trucks Asia (DTA) uses multi-brand approach with FUSO and Mercedes-Benz to extend product offerings and further expand sales in Indonesia. Mercedes-Benz plant in Wanaherang, near Jakarta, was extended to increase capacity to handle assembly of Knock Down (KD) kits of the new Mercedes-Benz “Axor” heavy-duty truck, produced and shipped from DTA’s plant in Oragadam, India. 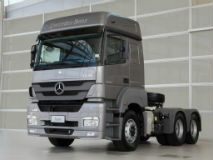 The plant that already produces Mercedes-Benz Passenger cars, was extended to now accommodate assembling heavy-duty trucks under the Mercedes-Benz Axor name.